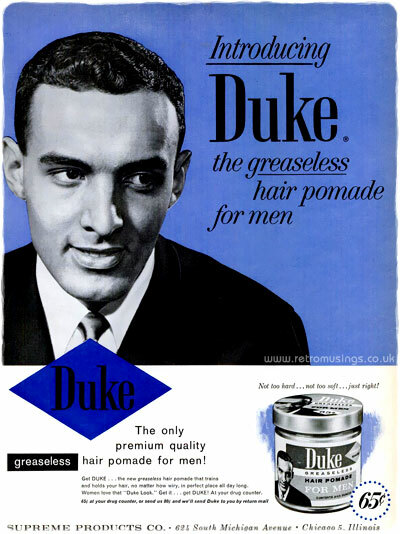 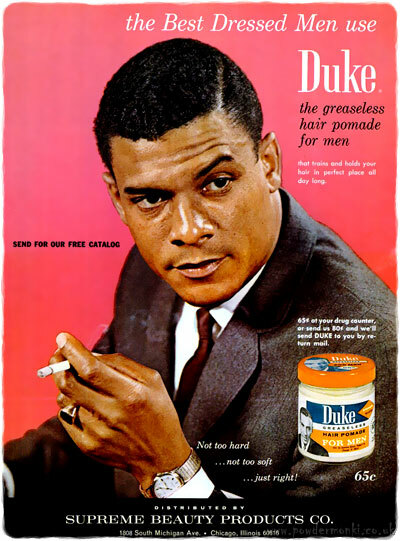 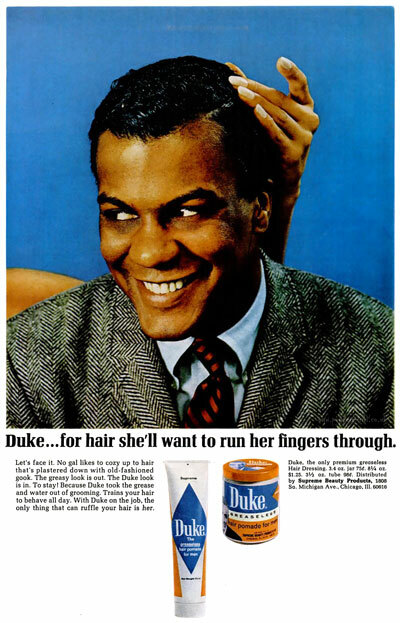 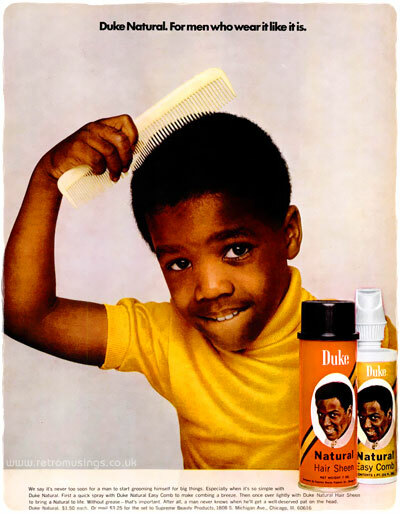 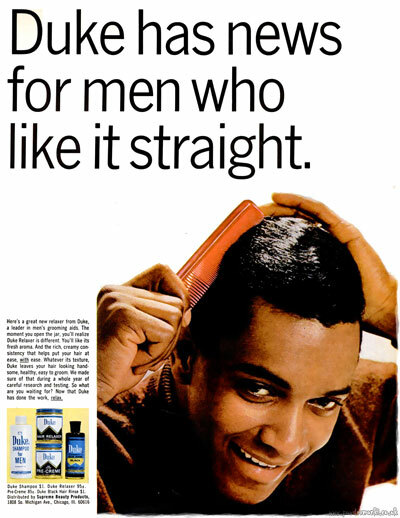 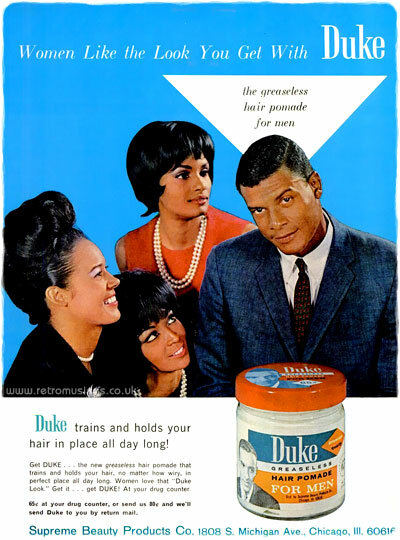 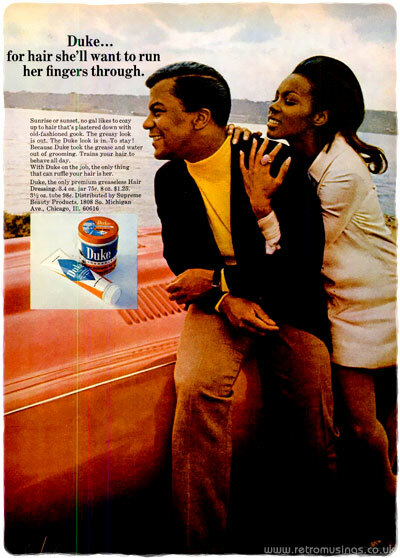 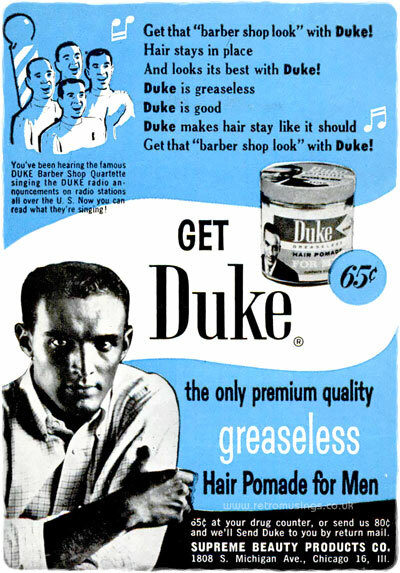 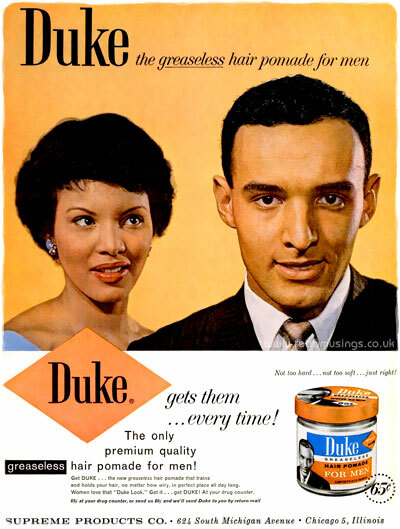 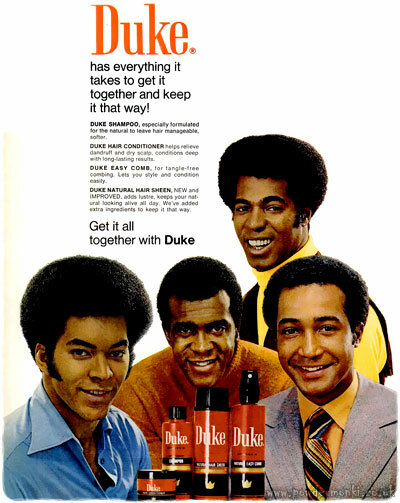 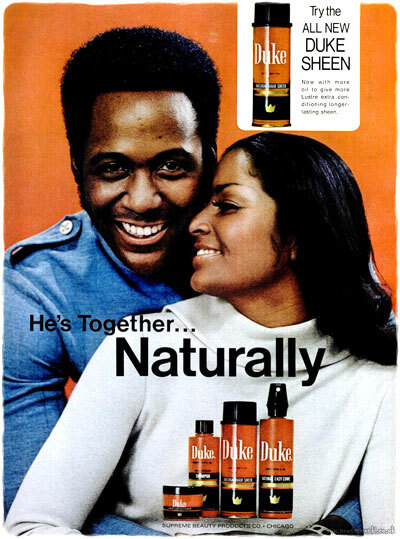 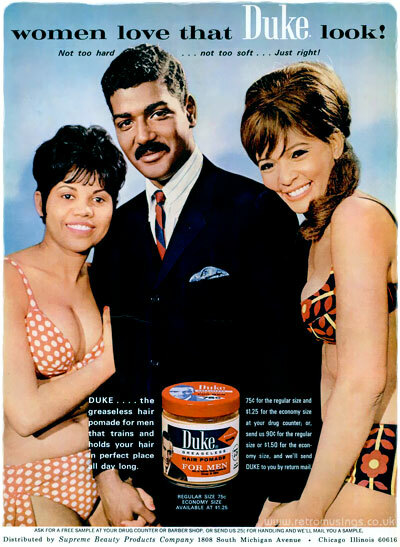 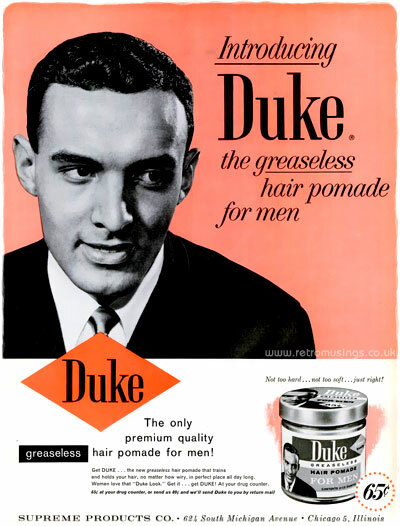 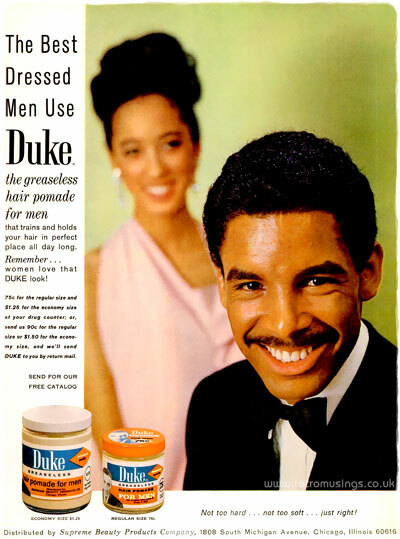 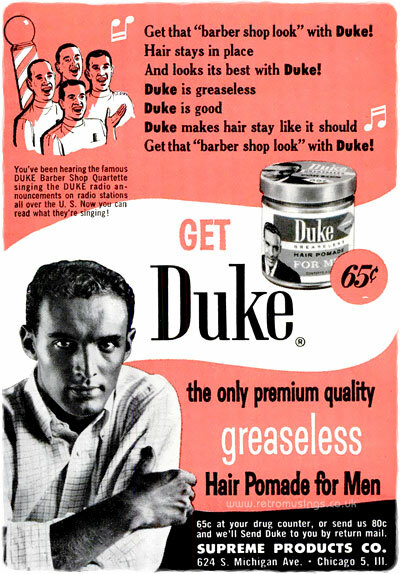 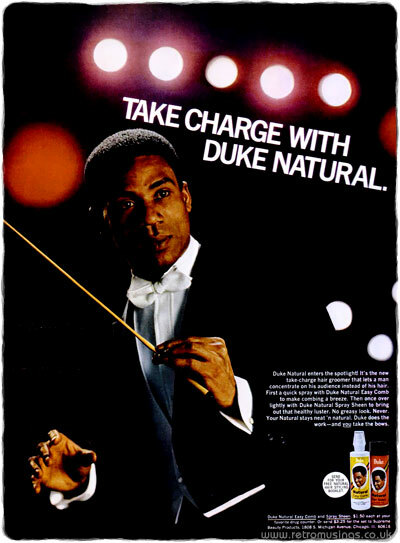 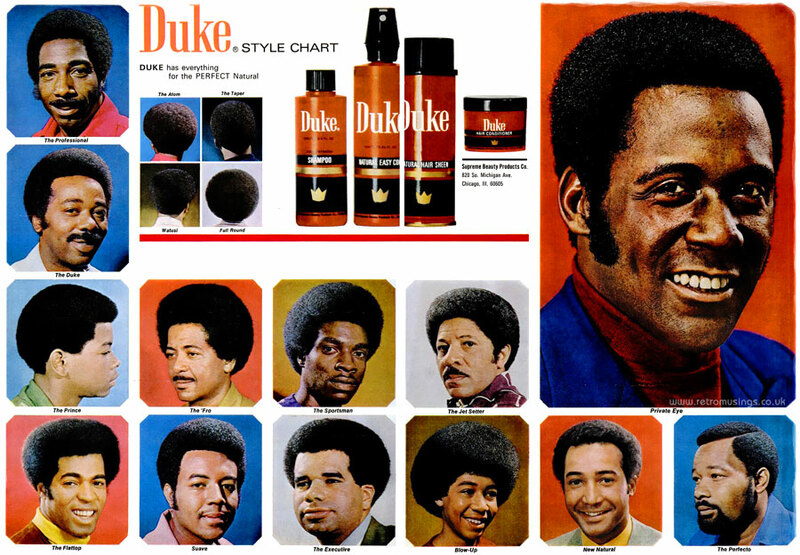 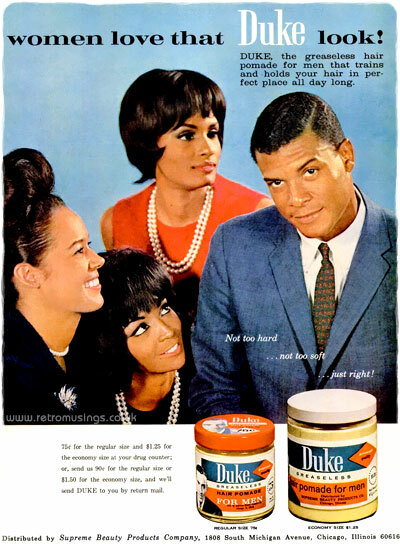 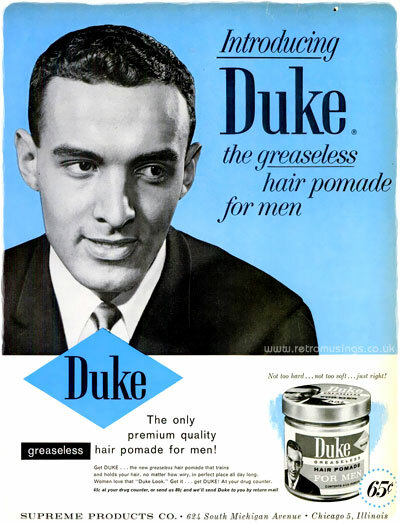 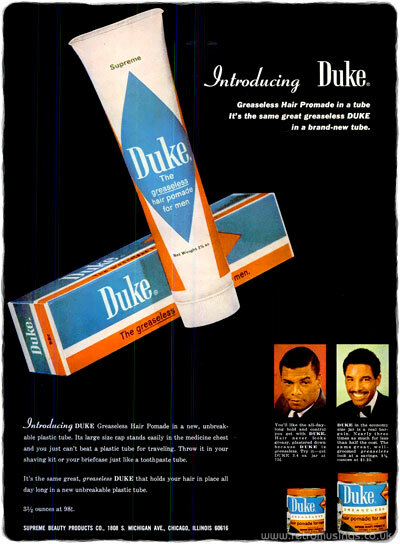 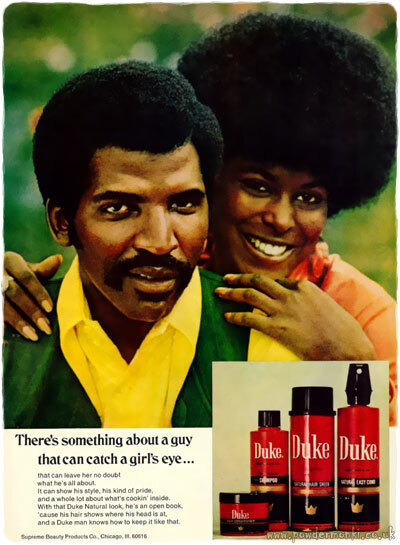 These ads for mens hair styling product “Duke” date from 1960 to 1973. 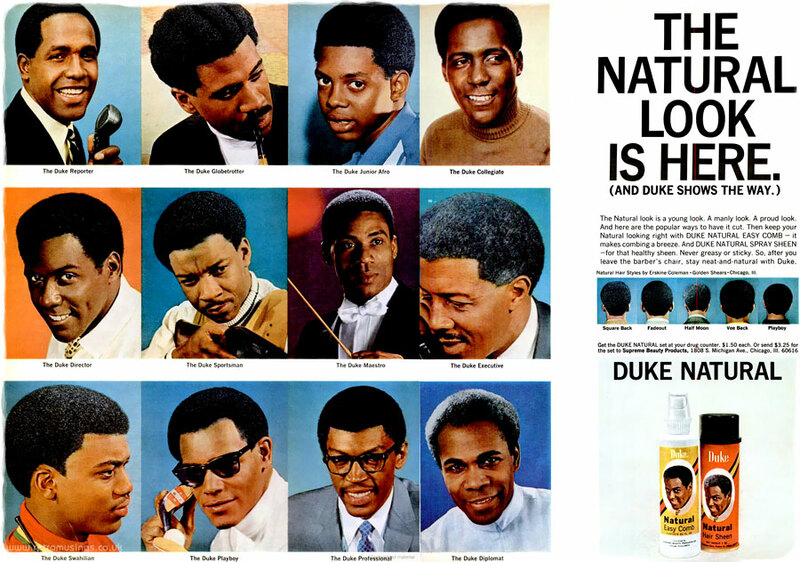 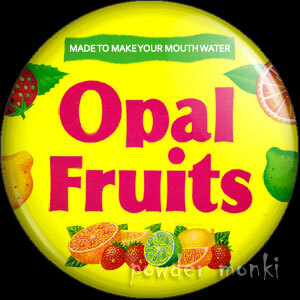 They were made by Supreme Beauty Products. 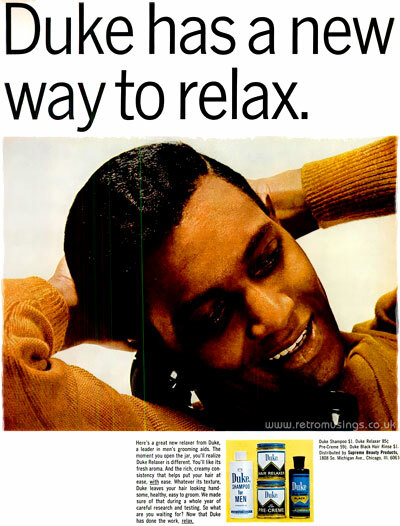 These two ads came in several colour variations.